Man Fu Yuan has consistently been my go-to for impeccable Chinese meals and there's no reason not to celebrate the most important Chinese festival (Chinese New Year) with them. 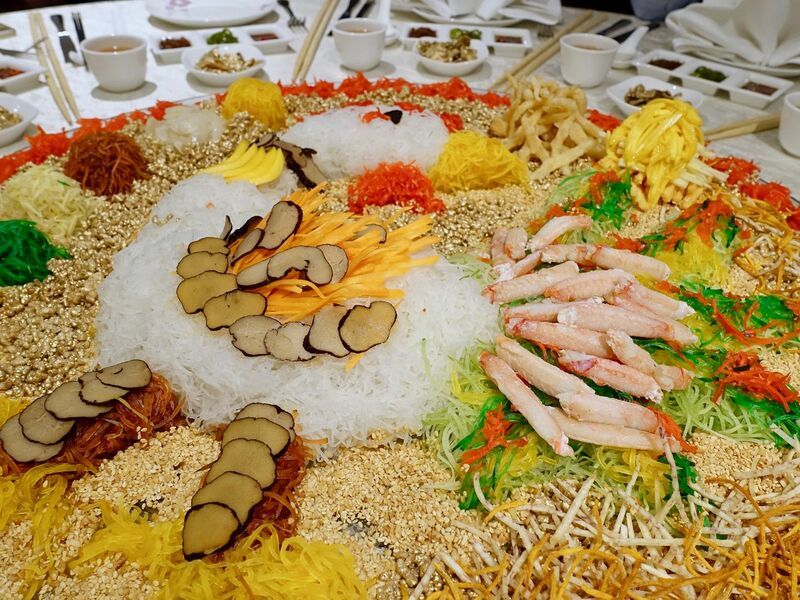 To ensure a year of good fortune, 捞 into a glittery pot of gold with Man Fu Yuan's black truffle yusheng with deep sea red crab, crispy silver bait fish and fresh fruits like melon and jackfruit. All that gold may be for show but we could do with some auspicious beginnings for sure. Plus it made the treasure hunt for the prized crab meat a lot more challenging with the blinding glitter. What's a proper CNY meal without some delicacy like a Chilled Marinated South African Fresh Abalone in half shell, dressed with a lightly sweet Goma sesame dressing. Served on a specially carved block of ice, the gelatinous and crunchy meat remained fresh as we slowly savored the sweet flesh. Next, a rich and nutritious Double Boiled Chicken and Korean Ginseng Soup, complete with fish maw and bamboo pith, was served. You can expect instant rejuvenation from just one sip but we could certainly do with a pot of this. Braised Sea Cucumber and Fish Maw in Superior Brown Sauce. 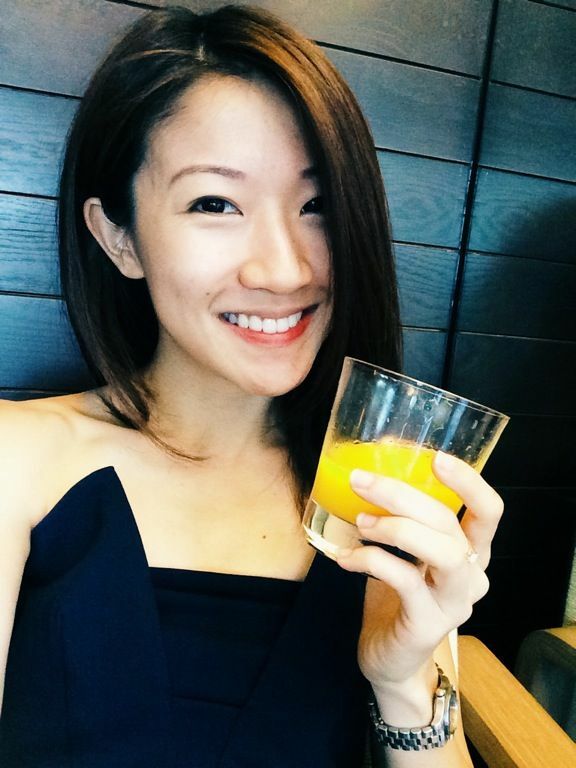 More nutrients for the skin! 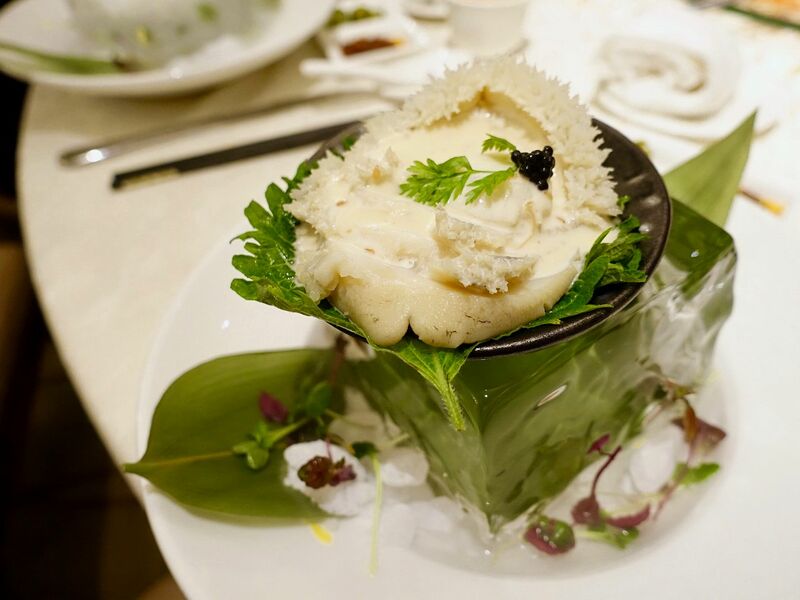 A western take on a typical Chinese dish- Steamed fillet of Star Garoupa in a consommé of lobster and luffa gourd. Light flavors in this one. We thought the consommé would do well on its own too. Our choice of protein is no doubt the Steamed Boston Lobster with egg white and Chinese rice wine consommé. 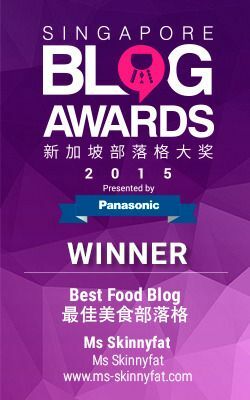 Very traditional Cantonese style of cooking that allowed the sweetness of the meat to come through. Plus the rice wine provided a delicious aroma to the dish. Best Pen Cai of the year goes to Man Fu Yuan's Supreme Treasure Pot. We can't stop salivating over the plump pearly scallop, tender abalone, juicy prawn, boneless stewed chicken stuffed with rice, and their famous preserved sausages! 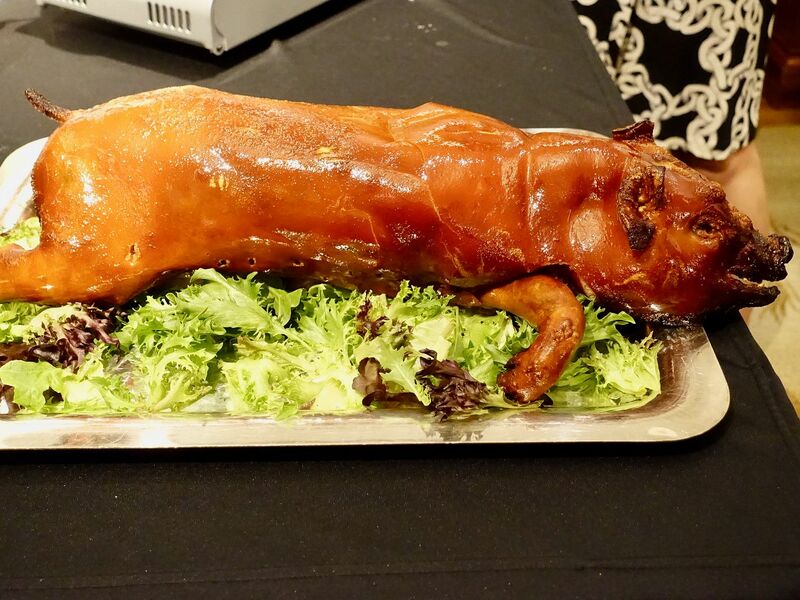 Of course, my all time favorite- Barbecued Whole Suckling Pig with Glutinous Rice. Thankfully this piggy is available all year round but CNY is just a good excuse to feast on this one. This is definitely my preferred choice of carb. I always have a few servings of their fluffy sticky rice with generous chunks of preserved sausages. Plus the crispy crackling and tender juicy pork are simply irresistible. Round up dinner with the Double-boiled Hashima with Eight Treasure Tea. If there's anything to fault, the deep fried Almond puff pastry that accompanies the dessert was too oily. Plus I really dislike the Chinese almond paste as a dessert but that's just me. Impeccable dishes for a perfect reunion. Head on down to Man Fu Yuan this Chinese New Year.